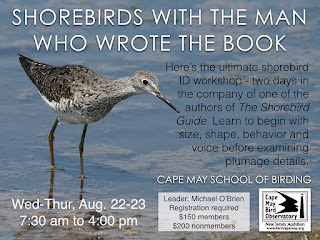 It is not surprising that Houghton Mifflin's landmark "The Shorebird Guide" (2006) sprang from the brains and hands of three Cape May birders and authors. 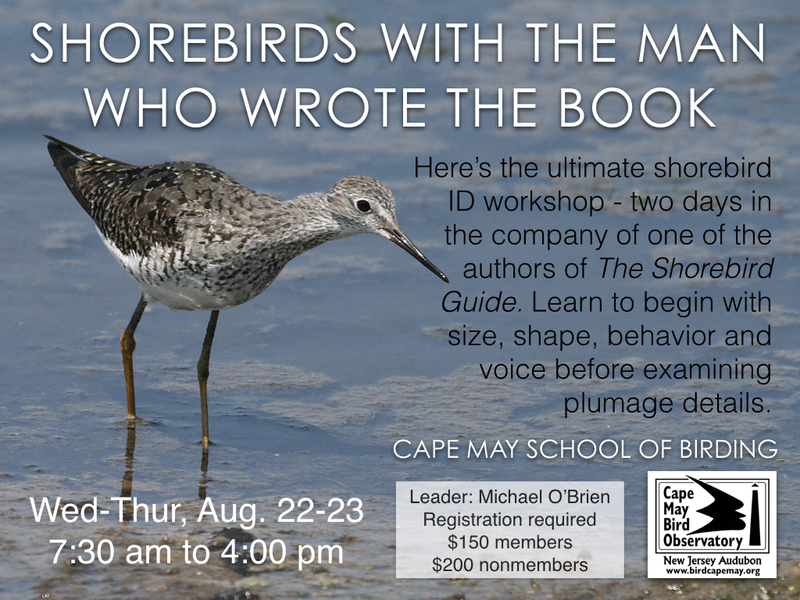 Now you can experience some of the East Coast's best shorebirding while guided by one of them. Search storied locations like Bunker Pond, the South Cape May Meadows, Stone Harbor, and Edwin B Forsythe NWR for peeps, plovers, and yellowlegs, plus possible gems like phalaropes or godwits. Over 25 plovers and sandpipers are in easy reach, with some species numbering in the thousands. Learn to begin with size, behavior, and voice, and then move on to careful examination of plumage details. Preregistration required. 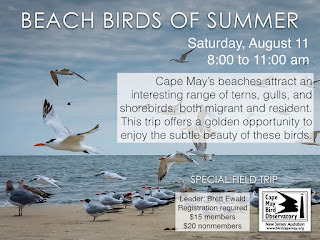 In summer, Cape May’s beaches not only attract vacationers, but an interesting range of terns, gulls, and shorebirds, and this Special Field Trip offers a golden opportunity to enjoy the subtle beauty of these birds. Common, Forster’s and Least Terns are plentiful at this time, and there may be a few Royal Terns and Black Skimmers around. We’ll search for uncommon gulls amongst the cadre of common species, and spend time looking at shorebirds, migrant and resident, such as American Oystercatchers, Sanderlings, Willets, and more! 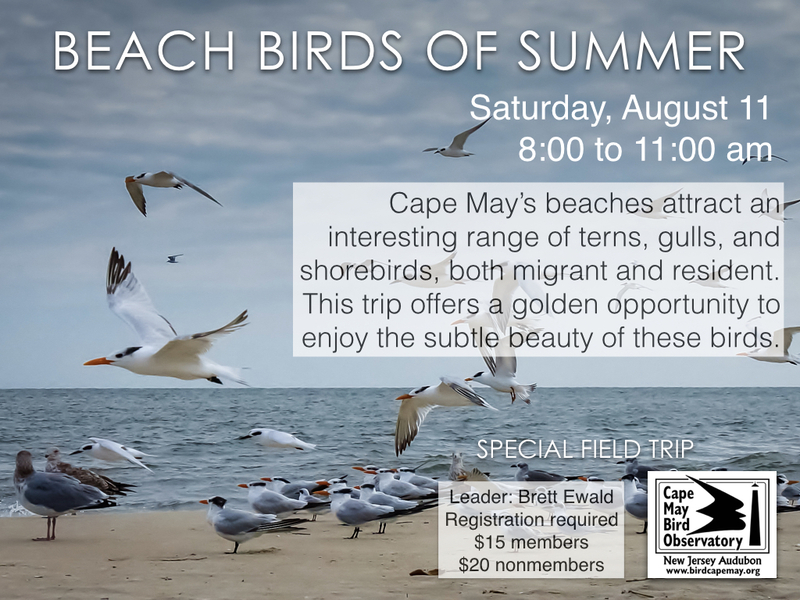 Join Program Director Brett Ewald and CMBO Associate Naturalist for an exciting morning on the beach!!! Preregistration required.